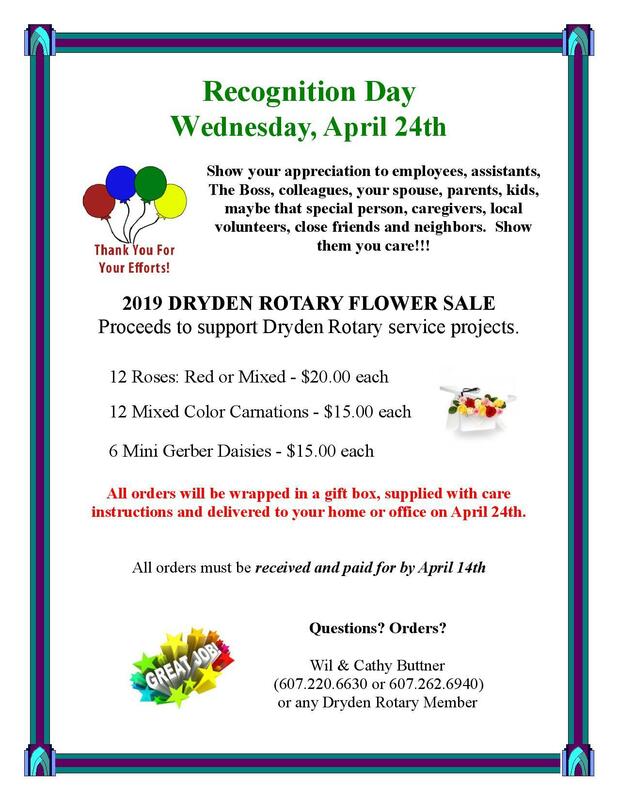 Recognition day is upon us; show you care to those that matter and Dryden Rotary gets $5 per bouquet!!! Questions? Orders? Contact Wil & Cathy Buttner (607.220.6630 or 607.262.6940) or any Dryden rotary Member.